19.05.2012 The emulation function of Hall sensor outlet is added. For instance, it can be used for tachometer. 19.05.2012 The emulation function of Hall sensor outlet is added. For instance, it can be used for tachometer. To use this function, you need to assign it for one of free outlets. 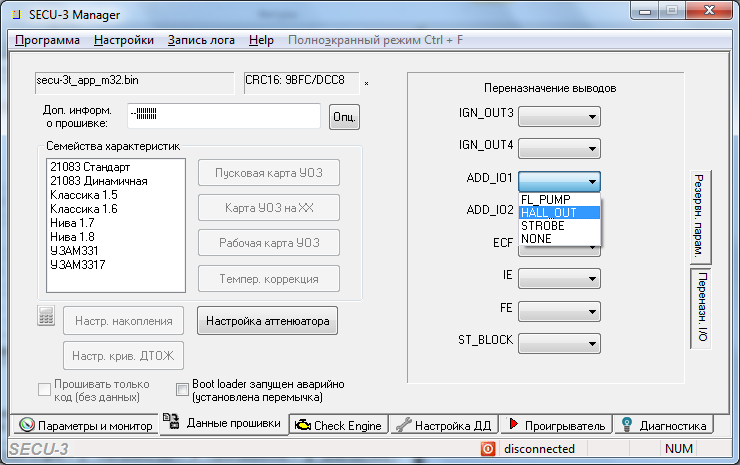 30.04.2012 Now it is possible to reassign the functions of outlets in the SECU-3T unit. Now the chosen outlet performs the specified function.